Avoid the queues at London's better-known museums and visit the charming, quirky former residence of Neo-Classical architect Sir John Soane. Travelers can take on the trending neighborhood of Shinjuku in Tokyo with Park Hyatt Tokyo’s original English Shinjuku area map designed by Japanese fashion illustrator, Hiroshi Watatani. Guests can navigate the winding alleys and track down the best (and often hidden) pint-sized bars, restaurants, and shops per the map’s insider advice. As part of the final phase of the renovation that doubled the property’s footprint, Royal Mansour will open their new Kid’s Club in Le Jardin this month. Former Rockette-turned-celebrity fitness trainer, Amanda Kloots is heading to Sugar Beach, A Viceroy Resort this month to lead fitness classes under St. Lucia’s shady palms. Amanda will teach her signature classes The Dance and The Body, the same workouts she does with her celebrity clients like Zendaya, Hannah Bronfman, and Zach Braff. andBeyond Phinda Vlei Lodge will reopen in June 2018 in South Africa after a complete refurbishment, inspired by the plantation-style homesteads of KwaZulu-Natal’s sugar cane and pineapple barons. Belmond Maroma Resort & Spa is launching ‘Slow Beauty’ wellness retreats in April 2018, including a workshop on the health benefits of Mayan-inspired rituals, a bicycle tour through the Mayan jungle, and a Shaman ceremony on the beach. The retreat will focus on anti-aging daily rituals that allow for personal reflection and connecting with the mind, body, and soul. PONANT is introducing a new itinerary ‘Green and Gentle Lands: Exploring Gardens and Historic Sites,’ including special access at Kew Gardens and Chelsea Physic Garden and a gala luncheon at the Royal Botanic Garden in Edinburgh. The journey departs May 14-22, 2019 sailing to the British Isles, Belgium, and Norway. La Réserve Genève is offering a special package for the Geneva International Motor Show, March 8-18, 2018. The offer includes a stay in a superior room, daily breakfast, entry to the show, and transfer to/from the Palexpo convention center in a Bentley Flying Spur or Bentayga. Napa Valley’s Ink House opened as a four-bedroom Inn in January 2018. Listed on the National Register of Historic Places, the property was first built in 1885 by prominent Napa farmer, Theron Ink as a single-family home. 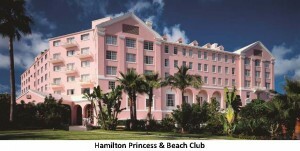 Bermuda’s Hamilton Princess & Beach Club now offers complimentary BMW bicycles for guests to explore the town and waterfront. Laces and Limos provides a new Napa Valley winery tour experience with its fleet of eco-friendly electric Tuk Tuk vehicles. Adventurous couples on andBeyond’s 11-day Romantic East Africa safari sleep in cozy stilted treehouse suites at andBeyond Lake Manyara Tree Lodge, picnic on Tanzania’s Ngorongoro Crater floor, stargaze on the Serengeti plains, and swim with dolphins at andBeyond Mnemba Island off the coast of Zanzibar. Couples at the adults-only Nayara Springs indulge in a private romantic dinner in their own newly-built stone pavilion tucked amongst the flora and fauna of Costa Rica’s rainforest – complete with a personal chef and specially-designed gourmet menu, featuring herbs and vegetables grown on-property and cheese sourced from the nearby dairy farm. Valentines can laze in bed all day with special his and hers Valentine’s Day pajamas with The Lowell’s Valentine’s Day package. Park Hyatt Tokyo’s Pastry Boutique will offer an array of Valentine’s chocolates and sweets for 2018 – from sake truffles to apple-shaped cakes to rose petal macarons. The goodies have a longer shelf life as in Japan, the holiday White Day follows Valentine’s Day (where boys are expected to give sweets to the girls who gifted them Valentine’s Day treats). La Réserve Paris is celebrating the holiday with a Valentine’s Day Offer, including a complimentary upgrade, Champagne, and a surprise VIP welcome in the room, followed by dinner at the two-Michelin-starred Le Gabriel. Domaine de Manville is welcoming guests with a couple’s spa treatment including a relaxing bath, followed by Champagne, and capped off with a five-course caviar dinner at La Table. For a night out on Broadway, The Chatwal offers its guests two tickets to the Tony-Award-winning Beautiful: The Carole King Musical with a three-course, pre-theater dinner at The Lambs Club and a ‘Beauty’ manicure at The Chatwal’s Red Door Spa by Elizabeth Arden. 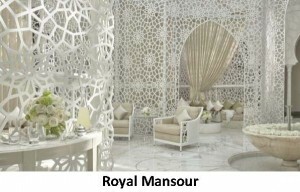 Royal Mansour’s ‘St. Valentine’s Stay’ package includes a three-night stay in a one-bedroom Riad and a Valentine’s themed dinner at La Table. Guests can relax with a spa treatment for two in the hotel’s three-story spa in the privacy of their own Spa Suite, featuring a hammam, a plunge pool with a terrace, and a relaxation area. Belmond Charleston Place Hotel’s ‘Glamorous Getaway’ package is perfect for a Galentine’s Day in the heart of downtown Charleston. It includes accommodations on the hotel’s privately-accessed Club Level, with full access to the two-story Club Lounge and its complimentary all-day food and beverages, and a $50 toward the new in-house Elysium Salon. Take a private sabrage lesson with Verve Napa Valley. Learn the ancient art form and how to sabre a bottle of sparkling wine. Enjoy a sunset picnic for two at Firefly, Noel Coward’s former hilltop home, offering the best views of the sunset in Jamaica. andBeyond takes travelers to the family-run Glenburn Tea Plantation, set against the back drop of the Himalayas, to witness a tea harvesting and brewing from start-to-finish – from the withering, rolling, fermenting, drying, and sorting of tea leaves to a tea tasting along the banks of the River Rungeet. Belmond British Pullman is hosting themed Paddington Afternoon Tea journeys in honor of the movie release of Paddington 2. While onboard the 1920s and 30s carriages – which are featured in the movie – parents and their little cubs will be treated to live musical entertainment along with an array of sweet and savory snacks including mini-cakes and marmalade sandwiches. For Park Hyatt Tokyo’s proprietary blends of tea, the leaves are picked from the hotel’s very own plot 300 miles away in the Inokura tea fields in the city of Nara with exclusively-grown black, green, and oolong teas. Inspired by the movie release of Beauty and the Beast, Town House at The Kensington in London is offering a ‘Tale as Old as Time’ Afternoon Tea, with Mrs. Potts and Chip Potts dishware, a Cogsworth Chocolate Tart, and a Lumière White Chocolate Mousse. 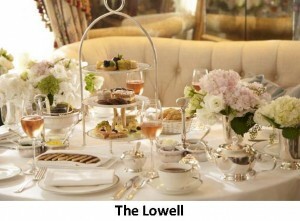 The Pembroke Room’s Afternoon Tea at The Lowell is one of New York City’s best kept secrets and has a Tea Sommelier to help guests choose their perfect match from over 15 teas on the menu. The blends are sourced from French purveyor Dammann Frères and are paired with traditional English tea sandwiches, caviar blinis, and foie gras canapés. The famous afternoon tea at Belmond Mount Nelson Hotel in Cape Town offers a range of teas from around the world, including the hotel’s very own Mount Nelson Tea – a blend of six teas from India, China, Kenya, Sri Lanka, and rose petals from the hotel’s own signature pink roses. Majestic Hotel & Spa is launching a dedicated Vegan Afternoon Tea in February, featuring mini almond mousse, Gianduja chocolate short bread with confit lemon, and a Majestic vegan cookie. 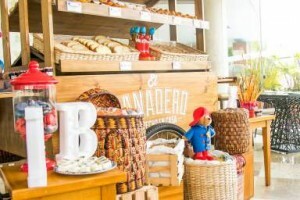 In Paddington’s homeland of Peru, Belmond has created new four- and seven-night itineraries that include family-friendly activities such as bear-shaped cookie making, a Paddington-themed movie-under-the-stars night, afternoon tea in a secret garden, and of course plenty of marmalade to go around. The Chatwal welcomes its ViBabies to New York with new amenities designed to help the youngest VIP guests and their parents travel in comfort and style. Delivered in a cherry-red Margherita Missoni backpack, ViBabies will receive an Honest Oh Baby! Kit filled with a line of all-organic toiletries, a Chatwal Charlie plush toy, a bedtime story book, and a menu of organic baby purées curated by The Lambs Club. andBeyond Bateleur Camp on the Masai Mara will reopen with a new family suite in March, just in time for spring break. The littlest andBeyond travelers can enroll in the WILDchild program for fun (and educational) safari activities with the rangers, such as Maasai obstacle courses and building a fire the Maasai way (and of course roasting marshmallows) – a scrapbook is on hand to document their memories in the bush. Explore the streets of Barcelona with Majestic Hotel & Spa’s scooter program, offering folding scooters and helmets (both child- and adult-size), a backpack with water and snacks, and an iPad loaded with themed maps and itineraries. For extra credit, families can select the Spanish language tour option to take in La Sagrada Familia and Casa Mila in the native tongue. From ziplining to kayaking to nature and waterfall hikes, Nayara Resort, Spa & Gardens is the adventure-packed vacation of every kid’s dreams. Families can explore the Arenal Volcano, with all its flora and fauna (including Nayara’s sloth sanctuary), by foot – or add a little thrill via bike, horseback, or ATV. Nantucket’s White Elephant offers the Mini Chef program, where children are invited to decorate cupcakes and cookies in 45-minute weekly sessions. For a fun night in at the hotel, children can snuggle up in kid-sized robes and have an in-room camp-out, complete with teepees and faux, indoor campfires. 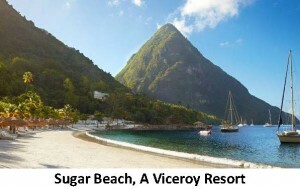 St. Lucia’s Sugar Beach, A Viceroy Resort’s Sugar Club and Spice Club offer kids and teens their own version of paradise. The Sugar Club welcomes children ages 4-12 and offers treasure hunts, arts and crafts, and coconut bowling, while the Spice Club caters to teens and tweens with ping pong, croquet, pool tournaments, and pinball machines, as well as a sailing school. Jamaica’s GoldenEye was the former home of Ian Fleming and the site where he penned all 14 James Bond novels. His gardener, Ramsey Dacosta, still works on the property and leads activities, including coconut carving and nature walks for children. While Napa Valley is famous for wine, the region has plenty to offer to families. Sign up for a tour of the Castello di Amorosa, a 13th-century Tuscan castle and winery perched on a hill just south of Calistoga, where kids can sip on grape juice. Stroll di Rosa, a museum where families can participate in activities including painting portraits. As 2017 comes to a close, Belmond is moving full steam ahead with a host of year-end celebrations, fresh dining experiences, new packages highlighting the brand’s iconic heritage and its famed Hollywood connections. As the final installment of Belmond’s series of films celebrating ‘The Art of Savoir-Vivre,’ ‘A Fond Farewell’ illustrates the brand’s promise to make every journey with Belmond an unforgettable experience. Further reinforcing this concept is the new partnership with the London Philharmonic Orchestra, which launches in Madeira on December 7, 2017 and will continue throughout the collection with additional dates and locations still to be announced. 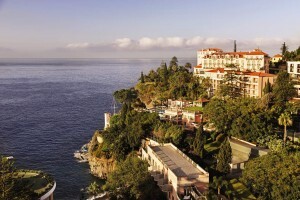 Belmond’s ‘Exceptional Music in Exceptional Locations’ program begins at Belmond Reid’s Palace with a three-night package inclusive of London Philharmonic Orchestra concert tickets for two, dinner at the hotel’s Michelin-starred William Restaurant, and a short-drive to the soaring Pico do Arieiro to enjoy breakfast during sunrise. Priced at €380 (approx. $447 USD) per night, based on double occupancy. Bringing together two hospitality legends, a replica of the Venice Simplon-Orient-Express train plays a starring role in the holiday lobby display at Belmond Charleston Place. Open to the public November 29, 2017-January 2, 2018, the fully-operational display features miniature European alpine homes, realistic stables and a blacksmith shop that guests can spy through little open doors. After watching the train make its way around the track, visitors are encouraged to spend the evening enjoying a contemporary Southern supper serenaded by jazz musicians at Charleston Grill. For the month of December, Oxfordshire’s Belmond Le Manoir aux Quat’Saisons will host a series of Christmas Carol Concerts with featured performances by top choirs from across the country. Priced at approx. $342 per person, the evenings include a Champagne Laurent-Perrier reception, concert at St Mary’s Church, and a four-course dinner at the property with accompanying wines, coffee and petits fours. Belmond’s famed Eastern & Oriental Express train will host a festive three-night New Year’s Eve journey from December 29, 2017 – January 1, 2018. Following an evening departure from Singapore, the train’s first stop is Malaysia’s lively capital, Kuala Lumpur. Here guests can choose between the Cultural Tapestry tour – visiting historical sites such as Independence Square and the Jamek Mosque – or the Kampong Traditions and Crafts tour which includes a look at the city’s best handicrafts. On December 31, travelers will spend the day in Bangkok touring colonial Georgetown or taking a tour highlighting the region’s culinary heritage, before returning to the train for a celebratory dinner complete with live Thai dance performances, a DJ, and fireworks. Priced at $4,730 per passenger based on double occupancy. 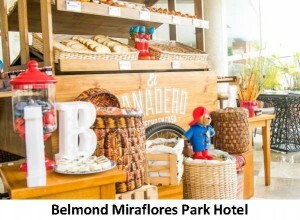 In Paddington’s homeland of Peru, Belmond has created new four- and seven-night packages that include family-friendly activities such as bear-shaped cookie making, a Paddington-themed movie-under-the-stars night, afternoon tea in a secret garden, and of course plenty of marmalade to go around. Rates begin at $3,158 per person for the four-night package, and $4,804 per person for the seven-night; both offers include stays at Belmond properties across Lima, Peru, Machu Picchu, and the Sacred Valley as well as select meals and domestic transfers. Across the pond, Belmond British Pullman will host three steam-hauled Paddington Afternoon Tea journeys on December 2, 2017 as well as on February 16 and April 7, 2018. While onboard the 1920s and 30s carriages – which are featured in the movie – parents and their little cubs will be treated to live musical entertainment along with an array of sweet and savory snacks including mini-cakes and marmalade sandwiches. For each adult traveling, one child under 16 travels free; rates begin at $721 for a group of two adults and two children for the afternoon. Located in idyllic St. Michaels, MD, the Inn at Perry Cabin by Belmond provided the setting for the wedding reception and touch football game in the 2005 comedy, “Wedding Crashers. At Belmond Villa Sant’Andrea, The Godfather Tour brings guests on a mobster-approved tour of Sicily in a Fiat 500 with stops including the St. Lucia church where Apollonia and Michael Corleone were married; the village of Forza D’Agrò where Michael Corleone first arrives in Sicily; and Francis Ford Coppola’s favorite Bar Vitelli. 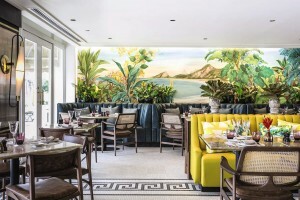 Rio’s iconic Belmond Copacabana Palace has unveiled a new look for its famed restaurant, Pérgula, designed to embrace the city’s Carioca culture. Highlights from the relaxed, tropical space include a dedicated Tapioca Pancake Counter – perfect for a sweet and savory breakfast – and a new Copa Caipirinha Trolley that brings Brazil’s most famous cocktail right to the tableside. The Pérgula Poolside Verandah & Pool Bar, which overlooks the world-famous ‘Copa’ swimming pool, doubles as a chic all-day dining spot and by night transforms into a glamorous setting under the stars for upbeat tunes and the best caipirinhas in town. In early 2018, the restaurant will also boast the Pérgula Outdoor Ocean View Terrace giving all-day diners front row seats to Rio’s dreamlike views over Copacabana Beach. Belmond Miraflores Park has created a new private rooftop dining experience, aptly named “Romance on the Rooftop.” Suspended on a clear platform over the hotel’s 11th floor pool, guests will be surrounded by flowers and candlelight while dining on a four-course menu and listening to a live violin performance. The 39th annual American Express Queenstown Winter Festival, the Southern Hemispheres biggest winter celebration, kicks off today. 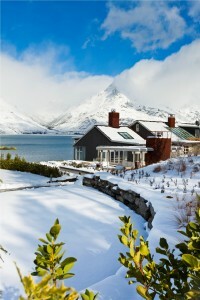 Thousands of locals and visitors alike will hit the streets and slopes of Queenstown, New Zealand to partake in more than 75 different events (most of which are free and fun for the whole family), such as firework showings, performances by major Kiwi musicians and comedians, and on mountain skiing and snowboarding. Perfect for families attending the festival, Matakauri Lodge‘s “Family Heaven” package includes two nights’ accommodation with an interconnecting second bedroom, daily pre-dinner drinks, gourmet dinner, full breakfast and mini-bar, spa treatments for all family members, a four-hour babysitter with room service, and a private dining experience. Guests can attend the festival, exploring beyond the lodge, and then return back to luxury once the day is over. Originating in 1975, the Winter Festival began when a group of locals decided to use the arrival of snow as an excuse for a party, bringing residents and visitors together. The tradition was born and, over the years, this little celebration has grown immensely, attracting people from all over the world to join the Kiwis in welcoming the winter. Now an iconic event, marked and circled on every local resident’s calendar, the festival attracts 45,000 attendees. The annual Winter Festival is all about celebrating the community, the mountain environment, and the start of the winter holiday season. With more and more luxury travelers booking a safari as the choice, out-of-this-world experience, operators are upping their “game.” andBeyond, the organization known for its pioneering eco-tourism, is now offering specialty, niche components to complement and personalize the traditional safari experience to match one’s interests. This includes private game drives focused on getting the perfect picture, learning how to track the Big Five in South Africa, or honing in on the kori bustards during a bird watching adventure in Tanzania. They have even created a yoga package. Add-ons start at $675 per day. Gain the stealth and cunning of a lion and learn how to track wildlife with the help of a ranger and tracker team in a private, open 4×4 safari vehicle. Search for the elusive leopard, follow the warning cries of baboons to discover a pride of lions, look for clues, such as broken branches, to unearth a herd of elephants. Set out in a private 4×4 safari vehicle with a specialist birding ranger to enjoy the varied species found in the African bush. Most andBeyond lodges offer this opportunity to spot kori bustards, hornbills, secretary birds, and shining blue and red superb starlings – perfect for avid ornithologists. As Fashion Week winds down in New York and continues on, escape to Paris, the city that is home to Chanel, Hermes, Dior, and Louis for your own Fashion Week experience. Hôtel du Petit Moulin, designed by Christian LaCroix and located in Paris’ trendy Marais district, is offering the “Ooh Là Là Vintage Fashion Masterclass” package. This experience evokes a bygone era with custom-made vintage clothing matched with a decadent champagne and tea service. Ooh Là Là Vintage, a top purveyor of retro fashion, first consults with guests to pinpoint their favorite vintage looks. Then, following a fitting, dressed in their chosen attire, guests enjoy a grand afternoon tea. And for true fashion enthusiasts, sister company Madame Tra La La is on hand to custom-design vintage pieces to be taken home as a souvenir. Rates from €335 (approx. $440) per night (minimum stay of two nights), including daily breakfast. The package is offered through December 31 (perfect if you want to avoid the hub-bub of Fashion Week). With the mother-in-law overstepping her bounds, parents padding the invite list with long lost uncles and college friends, and the stress of keeping everyone happy – planning a wedding can be a little stressful. Enter One&Only. Outsource the wedding planning to their amazingly capable planners, and along with taking away the angst of planning a wedding, the guest list will automatically be strictly nearest and dearest for a destination wedding. Here are some dream wedding options, and tips for any destination wedding, from the experts at One&Only. One&Only Cape Town’s new Weddings Consultant has over 2,000 weddings under her belt and can arrange very personalized weddings in the Marina Room with views of the V&A Waterfront, an outdoor reception on the hotel’s spa island, or an intimate maritime celebration on the hotel’s yacht with Table Mountain in the background and the sun setting over the sea. One&Only Palmilla’s on-site chapel makes the perfect spot for an intimate ceremony, or a larger blow out if it takes place on the steps outside. A chapel ceremony package includes floral arrangements for the altar, an array of candles, and a horse-drawn carriage with a coachman and footman – a Mexican fairy tale! Say ‘I Do’ with the views of the Nassau Harbor from the top of the Versailles Gardens. One&Only Ocean Club offers wedding ceremonies under the arches of a 12th-century Augustinian cloister, a romantic and whimsical setting for ceremonies and receptions. A five-night package includes private airport transfer, photographer, complimentary spa treatments, and catering by Ocean Club’s signature restaurant, Dune by Jean-Georges Vongerichten. Try to arrive at least four days before your wedding to familiarize yourself with the surroundings, climate, etc. Be daring when doing a wedding menu tasting – you are in a foreign destination so really enjoy the local flavors, which may be a delicious surprise for you and your guests. It’s already August, and you still haven’t planned that much needed summer vacation? Well, worry not, because Park Hyatt Tokyo (hyperlink) has just what you need! Available until September 30th, Park Hyatt Tokyo is offering an All-inclusive package that happens to be coinciding with some of the most popular events and festivals happening in the city. On the last Saturday and Sunday in August, around 1.2 million spectators will flock to the city’s shotengai (shopping promenades) for the 53rd Annual Koenji Awaodori Festival. Over 12,000 participants from 188 groups of choreographed dancers and musicians will parade through the city streets in traditional obon dance costumes, accompanied by traditional Japanese instruments such as the shamisen lute, taiko drums, shinobue flute, and the kane bell. For some more competitive action, attend the 2012 Grand Sumo Tournament. Happening from September 9-23, wrestlers young and old from across Japan will come to Tokyo to partake in the event. Hakkeyoi! Rates are for two people with a Park Deluxe Room from 55,440JPY, a Park View Room from 68,145JPY, and a Park Suite from 148,995JPY. *Rates are subject to change on a daily basis. Located on the scenic shores of Lake Lucerne and surrounded by the idyllic Alpine landscape, the legendary Palace Luzern is now offering the SPAtacular Rooftop Experience – just for the ladies. Available everyday from 11:00am to 3:00pm, up to four women can book the Palace rooftop terrace for an afternoon of pampering, complete with a bottle of champagne, strawberries, and a total of three wellness treatments per person. As it is the only spa in the area offering this type of experience, indulge in the breathtaking views and fresh Alpine air along with a preparing facial mask, full body peel, and comforting after-sun treatment. Price: Total of 790 Swiss Francs (approximately US$820) for up to four women. Forget the Hallmark card or the flowers and take Mom away for a real treat. We’ve put together some suggestions for a Mother’s Day she won’t soon forget. What: Get Mom a weekend of spa treatments in paradise. Why Mom will love it: Mothers and daughters can unwind in the privacy of a double Spa villa at the ESPA spa complete with private garden, rain showers, outdoor Mexican daybeds, and whirlpool baths to relax in after a treatment. Special for the weekend are Mother-Daughter Soul-to-Soul moments ($640 for two) that include a Mother-Daughter yoga or salsa experience, an ESPA age-defying radiance facial or intensive facial, a spa lunch, and full use of the heat experience and relaxation area, or the Enduring Memory Mother’s Day Experience ($355) with a two-hour holistic body ritual, an in-villa 30-minute experience including a foot ritual, bath, and relaxation time, a spa lunch, and full use of the heat experience and relaxation areas. And all of this with her now favorite child. What: Show Mom how much you care by sending her to the welcoming Inn on the Alameda for a weekend of adult-only relaxation. Why Mom will love it: With the Please Your Parents Package, Mom and Dad can enjoy a weekend away from the kids in Deluxe Accommodations at the Inn, including the Inn’s signature continental breakfast, afternoon wine hour, and one box of yummy bizcochitos, the official New Mexico state cookie. Rate: Nightly rate is $220 plus tax per room per night. With a regular rate of $270 plus tax, this package has $50 nightly savings and applies to the Inn’s Deluxe Rooms only. The stay must include Mother’s Day, Sunday May 13, 2012, but there is no minimum night stay requirement. The offer is subject to hotel availability. Why Mom will love it: Play hooky and take your mama out! Without hopping on planes trains, or automobiles, have a spa-cation right in the city. You and mom can indulge in a 60-minute treatment, a special lunch, and complimentary use of the pool and fitness center. It’s available Monday-Thursday for $285 per person. What: Breakfast in bed is a nice gesture, but we bet Mom will enjoy the “Best Brunch on the Island” even more! Why Mom will love it: From the Benedict Burger to the make-your-own Bloody Mary bar, a Sparkling Station for mimosas, and a brand new tapas station, this brunch is complete with all of Mom’s favorites. Rate: Brant Point Grill’s Mother’s Day Brunch is $55 for adults, $25 for kids ages 6-12 and $5 for kids ages 3-5. Combine your brunch with a stay at White Elephant and enjoy special Hot Dates Cool Rates, starting at $195 per night. What: Located in the heart of the Colorado Rockies, this luxury chateau-style resort features many amenities, including the 30,000 square-foot Allegria Spa, with a full-service fitness center, slopeside pool and hot tubs. This world-class spa is offering the “Her Day, Her Way Mother’s Day” package, an exceptional package for moms to unwind on their special day. When: Mothers Day, Sunday, May 13, 2012. Why Mom will love it: Spoil Mom with an extra luxurious spa escape with the “Her Day, Her Way Mother’s Day” package that includes a 50-minute Swedish Massage; choice of one of three select treatments (25 minute Sweet Lavender Body Scrub, 30 minute Custom Facial or Express Manicure & Pedicure); champagne; take-home spa gift; and access to Aqua Sanitas, the health club, the pools and hot tubs. 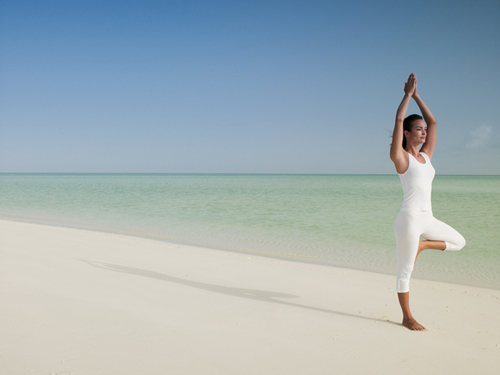 Why Mom will love it: Stress is a fact of life for mothers and daughters alike, which is why Parrot Cay has designed a Stress Management Wellness Package to target and relieve sources of tension and worry. Professional consultants will take things down a few notches with deep relaxing therapies, enlightening outdoor pursuits, and smart tips to put some of the carefree “island life” of Turks & Caicos into the home routine. Let the experienced personal fitness trainers convert pent-up stress into a productive mother-daughter workout, and follow it up with mind- and body-balancing yoga and meditation. 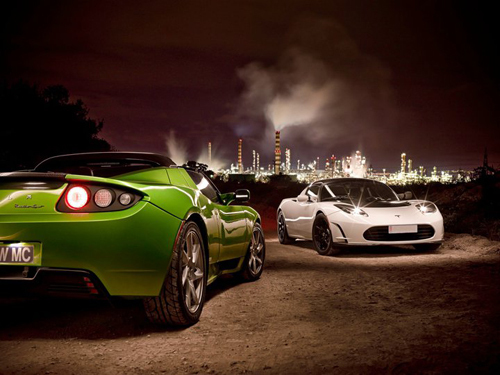 In 2011, La Réserve Geneva added a fleet of five Tesla roadster’s to its list of hotel amenities. The exclusive partnership between the hotel and motor company allows guests to either rent one of the cars for a day or purchase the Tesla Break Package – including a two-night stay at the hotel and full day’s use of the car. Guests agree that touring luxurious Lake Geneva is twice as fun when done in the eco-friendly and similarly luxurious vehicle. Recently, Tesla expanded their line to include the Model X, a new all-wheel-drive SUV that boasts the performance of a sports car. The most impressive and unique aspect of the vehicle is it’s “falcon wing” doors, which open up instead of out – almost reminiscent of angel wings. Production of the first consumer-ready Model X vehicles won’t begin until late 2013 but its initial debut was met with enthusiasm. Although La Réserve has no plans as of yet to introduce the new addition to their fleet, you can still go for a spin in one of their five roadsters. Rates for the two-night offer begin at 1,850 (about $2,294) for a Superior Room; day rates start at 790 CHF (about $984).